Car-free space in Freiburg. By prioritising public transport, active transport and delivery of goods and services over use of the private car; a safer, healthier and more pleasant environment is created. It is also much more sustainable. Sustainability is the capacity of an ecological system to remain productive and diverse indefinitely. Human caused climate change and its dramatic consequences over nature and human activities shows that the current modes of production and consumption are not sustainable. This is why the use of sustainability as a concept has rapidly increased over the last two decades to inform public policy decisions. Sustainability is a concept that encompasses all human and biological systems and activities. Most of the world population today lives in an urban environment and this proportion is set to increase over the next few decades. This is why urban sustainability and creating sustainable urban built environments should be such a central element of future urban developments. Sustainability can be thought of and defined in many different ways. Rather than striving to reach ‘ultimate and perfect’ sustainability, one can think of working towards a sustainable and resilient urban environment has a work in progress moving from a certain level of sustainability to a higher one. Most urban planners and designers agree that a sustainable urban environment is healthier, more productive, and a better designed space for people. 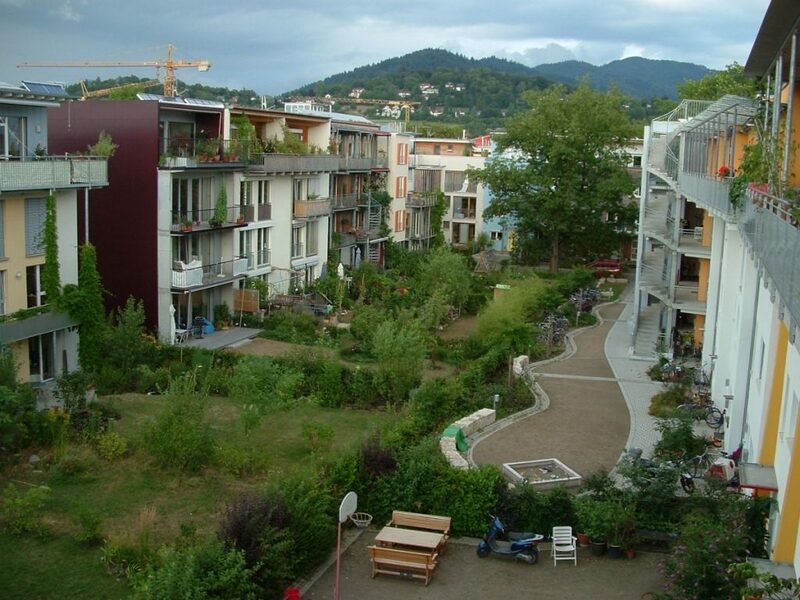 There are many different aspects that make up a sustainable urban environment. Many of them are interconnected however, and sustainability amenities and measures can usually be bundled together in 6 themes: Traffic & Transport, Water, Nature, Waste, Energy production & consumption, and food production. Inner Sydney Voice ran a workshop about Sustainability and How do we create a more resilient and sustainable Waterloo, as part of the Waterloo Community Capacity Building project. A debriefing document recording what was discussed and produced on the day is available, as well as an article from the March edition of South Sydney Herald describing what happened on the day. The documents and materials used on the day are also available below. If you would like to have a more comprehensive look at what different designs and measures look like for different theoretical levels of sustainability, check this one page document produced by Rob Roggema, design expert and professor at UTS Sydney, providing examples of sustainability measures. Sustainability Levels: Traffic, Water, Nature, Waste, Energy & Food. Want to learn more about sustainable urban design, including international, interstate and local designs that improve the sustainability of our cities? Download the Full ISV Sustainability Booklet designed by Rob Roggema. It includes detailed examples, case studies and many pictures. This video summarises essential aspects of a more sustainable, Eco-City, that integrates clean energy, efficient and clean public transport and a smart grid to deliver a more sustainable urban environment.